Our 11am worship service is the central act of our community at Faith Presbyterian. Building on our rich Reformed heritage, we worship our living God with joy and creativity. We want to be a true family of faith and that means celebrating the gifts, questions, and talents of each of our members from young in age to young at heart! 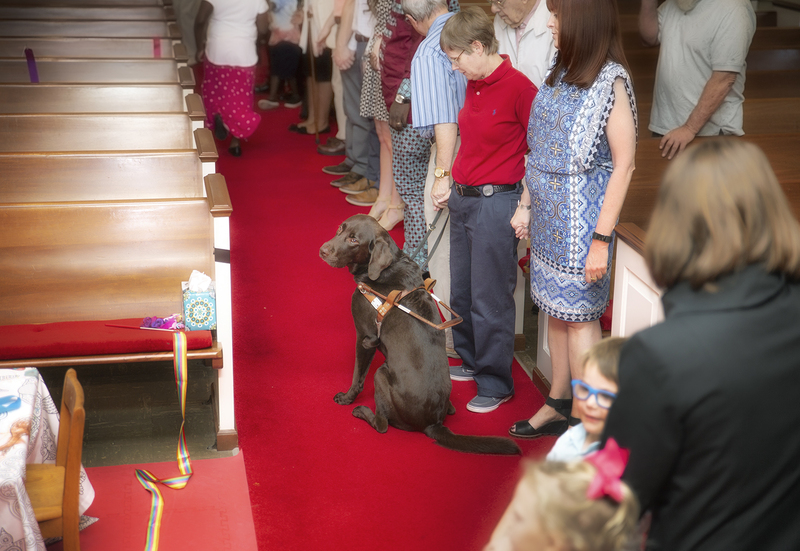 We strive to make our worship service accessible to everyone through: a telecoil hearing loop, ramps and a lift chair, both single stall private restrooms and multi stall gendered restrooms, and being service animal friendly! Second Sunday Story - Join us once a month to hear a member of our community tell a story about their faith. Often surprising and uniquely vulnerable and uplifting, these stories are typically on the second Sunday of the month, but may change depending on schedule and special events. El Shaddai Vision Church - This new worshiping community has a bi-lingual service in Swahili and English every Sunday from 1-2:30pm. 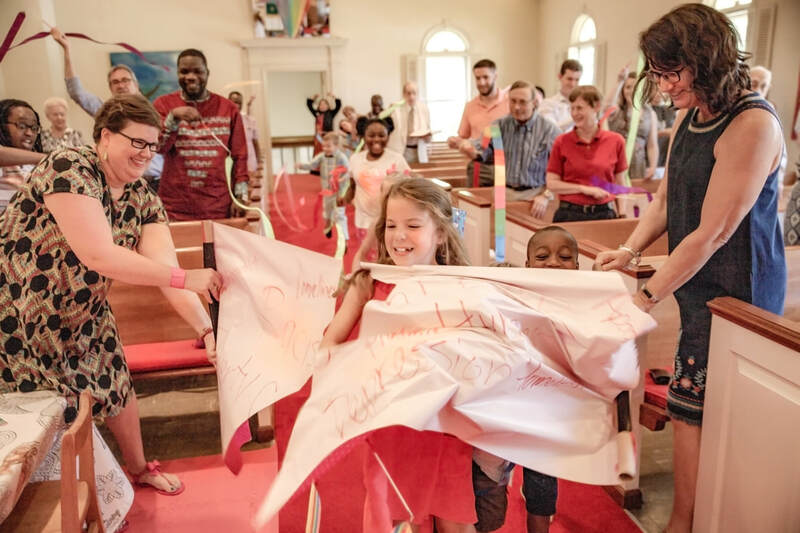 Led by Pastor Prince Mundeke and his wife Laurette, they seek to preach the gospel to newcomers and refugees from Africa, but have a powerful witness for everyone and welcome all people. Our pastor is a leader in an innovative movement to create interactive sermons. She uses story, art, videos, and questions to help us explore the text. Check some of her work below! - Word and Wonder With all Ages - What happens when we die? - Response to the Word- What does heaven look like?